Two nondescript cars slid through Mandalay’s sleeping streets, the tires throwing rain behind in a white susurrus. Mara looked at him, saw Willa’s full face and Collier’s wild hair. And even in the dim light, she could see the determined set of his mouth. But when he met her eyes, it turned into a familiar wry smirk. “I think there’s a streetlight at the end of that alley,” Mara told him. The cars entered Elise Park and crunched gravel. It sounded too loud to Mara, like someone trying to tiptoe through popping Champaign corks. The brief rain had stopped. Stars once again dotted the night sky, but the air was damp and heavy. Leaves dripped on them as they gathered under a big Cannis tree. “Are you sure you don’t want us to come with you?” Gregor pitched his voice low. He and Boris stood close to Francisco, who was checking his gun. The younger man shook his head. Both women nodded. By then, Gregor and Boris were checking their own guns. Mara watched him take in this information and find a place for it in his civilized reality. Moonlight through the trees played over his face. She smiled to herself. Just like Colli, she thought. Minds quick enough to spin on a penny. The next thought drained her amusement and forced her free hand to her belly. Linny, Linny, Pretty Penny. “Wait,” Francisco ordered, jogging past them. He slipped through the park gate, dashed across the empty street and into the mouth of an alley. Mara could barely make out his darker shadow running down the City Archives side of the night-filled space. In the tight corridor, puddles gleamed with the light of a distant street lamp. They waited, then heard a faint pop and titter of broken glass. The alley puddles turned black. In a moment, Francisco reappeared and motioned them forward. Jed pried the old gate farther open to allow Mara’s bulk through, then he took her arm and trotted her briskly across the street. In the alley, she leaned a hand against the Commerce building, panting. They made their way more slowly down the alley. Across the now-darkened side street, the back of the Home Guard Station butted up against a small parking lot. A lone patrol car slumbered there. They crossed the street, cut through the lot, and approached the Station. Jed hurried past several doors, then stopped. Francisco tried the latch. It opened. “Captain Mendoza is making his surprise inspection now?” he verified with Jed. Francisco opened the door into a dark hallway. Faint voices echoed deep in the building. Jed led them in. The corridor turned past a dark kitchenette that smelled of fried sausage, and turned again past closed office doors. Mara could distinguish Uri Mendoza’s voice now, faint but rasping in a steady drone. It sounded like the Small Hour shift was getting lectured about filing paperwork properly. “Here,” Jed said at the door of a nameless room. He grabbed the knob and pushed in. Collier Cabot and Javier Juarez sat at an interrogation table, their white jailhouse jumpsuits blinding in the stark overhead light after the darkness of the hallway. When they saw Mara, they rose to their feet. She crossed the room and clutched the Prime Minister in a strangling embrace. He felt thin, his back boney against her hands. “I’m sorry to make you come back,” he muttered. Governor Juarez smiled and took her hand, his touch warm and gentle as always. She sat in his chair. Francisco and Jed stayed by the door. The Prime Minister pulled his chair up to the table. A chill ran up Mara’s spine. Callinda Investments. The same firm that financed the Yangtze drill tests. The same firm that financed the Crown Mountain retool. She kept her mouth closed and listened. 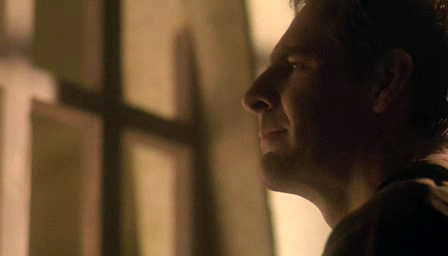 “You know Horatio.” Cabot smiled a little. “He did not care for General Chan,” Javier said tactfully. The Prime Minister’s bushy eyebrows jumped. “You’re a kind man, Javier. Horatio called Chan a lying bag of clam squirt who’d sell his family to rule the world. He asked the Juarez Elder—Alonzo—to dig into Callinda Investments. Cabot sighed. “When I didn’t hear from him after our arrest, I told Captain Mendoza and Delilah everything I knew. They couldn’t find Horatio or Chan. Covenant couldn’t help much—she was overwhelmed by the hearings about her husband. “You don’t think General Jones is alive, do you, Prime Minister?” Francisco asked. “No, I don’t. And I think sending you after him puts you all in mortal danger.” He looked at Mara, started to speak, then just shook his head. She stood up from the chair. “We’ll leave for New Dublin tonight, pick up the things we need on the way.” She gripped Governor Juarez’ hand one more time. “… or it will fuss with you.” A ghost of a smile lifted the Prime Ministers lips. Francisco cracked the door, then slipped out. Mara paused there. “I’ll see you soon, Colli,” she promised, then hurried after her Security First, Jed Cabot right behind her. Uri Mendoza’s rough voice chased them through the Station. They hurried back the way they had come, certain the Home Guard Commander and the Small Hour shift officers with him would round a corner before they did. Mara tried to step lightly, but like her father used to say, that ship had sailed. Still, they made the back door without being seen, and slipped through. Then, Jed and Francisco each grabbed an arm and half-carried the Queen across the parking lot and into the alley. There, Jed stopped and waited, watching the Station. A loud click carried across the street like a gun shot—the sound of Captain Mendoza locking the back door. “Yes,” she said, catching her breath, but she hung onto Francisco’s arm. Jed nodded and ran up the alley. “Let me carry you,” Francisco said. Mara sighed in the dark. Her back ached and her legs still trembled, but for the first time since Massacre Day, she felt sure about her path. She felt a plan taking shape. “I know it.” Francisco peered at the car pulling up at the end of the alley. Figures boiled out of the car and rushed toward them. Mara could feel Deborah’s scowl in the darkness, but to her credit, the doctor did not scold. Maybe she finally understood it made no difference now. Mara hoped so. She pulled Jed aside as the others gathered around. To read Chapter 24, click here.